L. L. Polk (Leonidas La Fayette), 1837-1892. 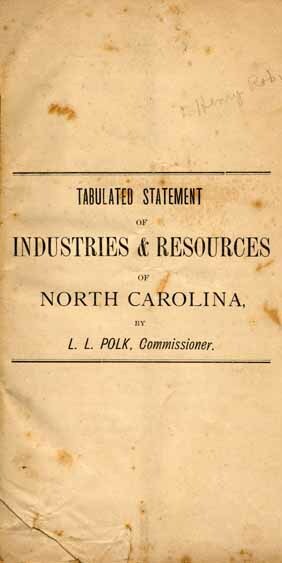 Tabulated Statement of Industries & Resources of North Carolina. Tabulated Statement of Industries & Resources of North Carolina. [Raleigh]: [N.C. Department of Agriculture], 1878.